For rounds 1 and 2, the clubs are equally divided into Northern and Southern sections and then sub-divided again into North East and North West in the North and South East and South West sections in the South. 16 clubs are awarded byes straight through to round 2 in an in-house pre-draw leaving the remaining 32 League 1 and 2 clubs to compete in round 1. Teams are drawn in couples within each section and games are played on a knock-out basis with the first drawn club playing at home. The 16 clubs that were awarded byes straight through to round 2 play the 16 winners from round 1. Teams are drawn in couples within each section and games are played on a knock-out basis with the first drawn club playing at home. The sections are now merged leaving just a Northern and Southern section. There are 8 games in the Area Quarter Finals, 4 in the Northern section and 4 in the Southern section. Teams are drawn in couples within each section and games are played on a knock-out basis with the first drawn club playing at home. There are 4 games in the Area Semi Finals, 2 in the Northern section and 2 in the Southern section. Teams are drawn in couples within each section and games are played on a knock-out basis with the first drawn club playing at home. Drawing is no longer necessary for the final 4 teams as the two remaining teams in each section play each other over 2 legs – home and away. 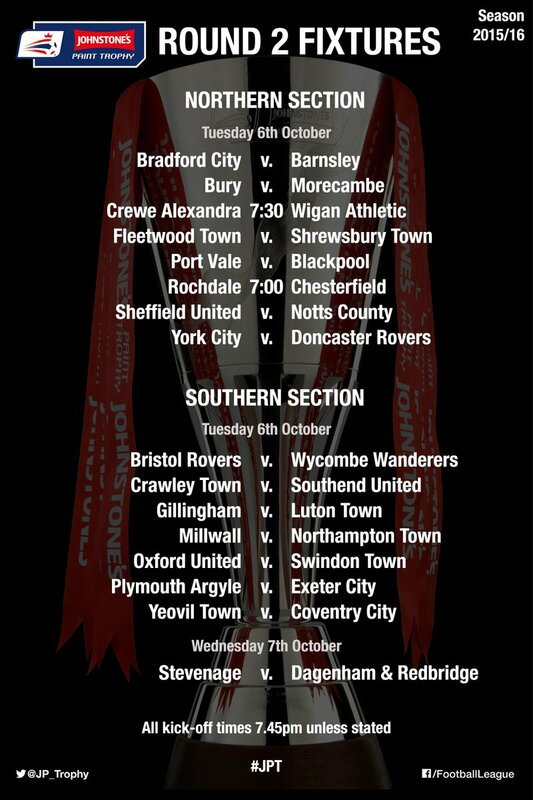 The first team to play at home is decided via a secret draw at The Football League Headquarters. The Final takes place between the winner of the Northern section and the winner of the Southern section at Wembley Stadium during March / April.